nach vielen peinlichen Betrugs Vorgaengen, der duemmsten Regierung der Welt, bringt ein |Regierungs Wechsel Nichts, sagen sogar die Albaner, denn erneut kommen die duemmsten Frauen ins Kabinett, einschlaegig bekannt. 25 Jahre und noch nie wurde ein Gestz implementiert, und durch die dumme Georg Soros Bande, vor Ort, wird das auch nie geschehen, weswegen nun 80 % die Auswanderung vorbereiten. Edi Ramas, Drogen Imperium auch vor 15 Jahren schon bekannt, und seine Grundstuceks Betruergeien und Dokumenten Faelschungen. Dumm in Berlin, wo die A.M. sagt: „Albanien hat erhebliche Fortschritte gemacht. 80 % der Albaner wollen inzwischen auswandern. Beispiele, das wirklich peinliche und gut dokumentierte 3 korrupte Frauen ins Kabinett kommen. Die neue Finanz Ministerin: Anila Denaj, hat unerklaerlichen Reichtum, Lokale, Firmen Beteiligung, war FEFAD, ProCredit, KfW Mafia Mitarbeiterin einmal, hat noch die groesste Kompetenz. Elisa Spiropali, wird sogar Ministerin nun, welche als hoechste Zoll Direktorin, in einer gut situierten Britischen Zoll Beratungs Consults, als vollkommen unfaehig bekannt ist, Original Edi Rama Klientel Politik der Dummen, wie in Deutschland mit etlichen Ministern. Die Frau traegt u.a. eine 4.500 $ teure Louis Vuitton Tasche. Dumm Quoten Frauen, ohne Beruf nach Vorne, man hat das NATO und Deutsche System kopiert, im Schwuchtel Club von Georg Soros. 80 % der Albaner wollen migrieren, sind oft im Moment in Deutschland vor allem, weil man dort jedes gefaelschte Zeugnis anerkennt. Die neue und bereits im Amte befindliche neue Finanzministerin: Anila Denaj, ist ein Produkt der FEFAD, ProCredit – KfW Mafia kassierte dort grosse Summen ab, hat viel Erfahrung, aber nicht in einem Ministerium. Die normalen Mafia Eigentum, Firmen Beteiligungen, eigene Lokale natuerlich. Albanian Prime Minister Edi Rama has sacked half his cabinet in response to the massive student protests that have exposed the scale of popular discontent with his rule. Rama summoned the National Assembly of his governing Socialist Party in Tirana and insisted that the changes were „not the result of failures“. In a long speech, he blamed a „weak opposition“ for many problems, which he said had not pushed for change, while the government became lazy. He also blamed media outlets, which he has called „garbage bins“ for not seeing the economic success achieved by his government and blamed his own party officials for creating what he called „a caste“. Arben Ahmetaj, Finance Minister since 2013 was dismissed along with Transport and Infrastructure Minister Damian Gjiknuri – who had lately faced protesters, calling him „a thief“ and demanding his arrest. The replacements are Anila Denaj, currently director at the Finance Ministry and Belinda Balluku, director of Albkontroll, a state-owned company responsible for civil airspace. Foreign Minister Ditmir Bushati was replaced by Gent Cakaj, who is also a citizen of Kosovo. 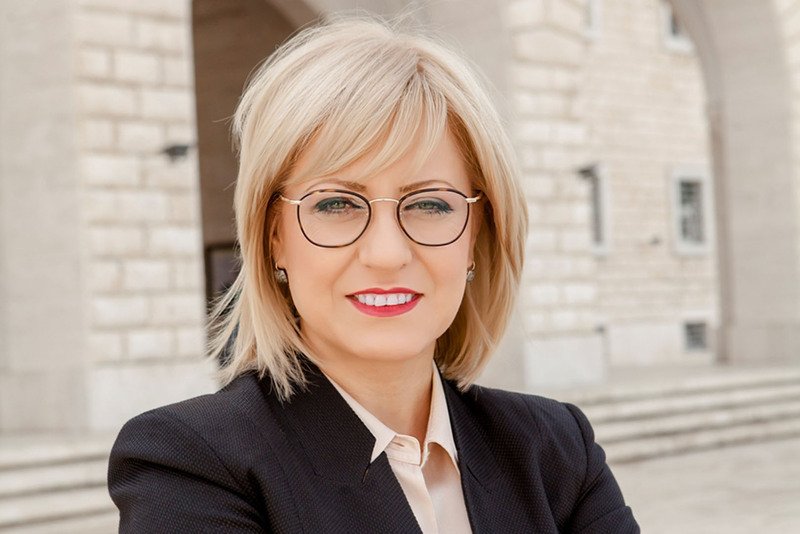 Education Minister Lindita Nikolla was replaced by Besa Shahini, currently deputy minister since 2017. She also comes from Kosovo. Rama’s strong electoral win in 2017 gave him the first clear parliamentary majority that Albania has seen since 2001. But scandals and protests followed. In October 2017, his former interior minister, Saimir Tahiri, was accused of international drug trafficking, while in the closing days of that year oil workers marched in Tirana, demanding unpaid salaries. Two main opposition parties promised „civil disobedience“ in early 2018 but the protests came largely from outside party politics. In March, an angry crowd burned tolls on the highway to Kosovo, while new Interior Minister Fatmir Xhafaj faced questions about his brother’s jail sentence in Italy for drug trafficking. This year was capped by a massive student protest and another scandal when a ghost company named DH Albania won two public works contracts worth 30 million euros using falsified documents. Unchallenged by the weak opposition, Rama reflected on this difficult year by blaming his own party for losing touch with reality. „Students don’t trust us,“ he lamented. „Youngsters are ashamed to say they are part of party youth forums,“ he added, reflecting on the latest student protest that showed not only the difficult economic conditions facing the general population, but also a wide chasm between the party and the younger generation. Opposition Democratic Party chief Lulzim Basha said the changes were merely a facelift. „The changes show only that the Socialist Party has become a group of people able only to applaud Edi Rama, who takes decisions based only on his interest,“ Basha said. „A fish rots from the head down,“ he added.